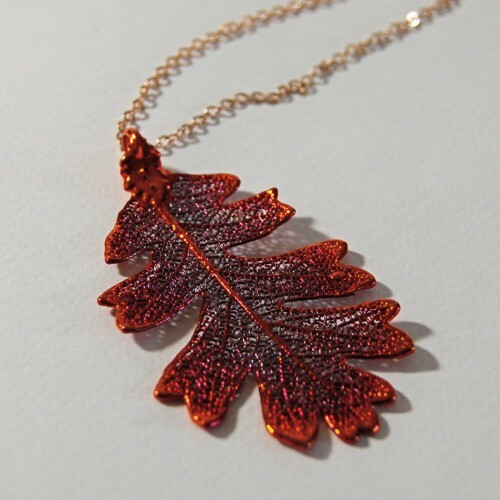 Natural Oak leaf pendant finished in autumn rainbow patination. 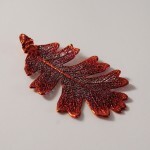 The oak leaf is carefully skeletonised to leave the veins intact. It is then preserved through electroforming, a process where the leaf is slowly encased in copper to give it strength. We finish them in a heavy layer of precious metals or our vibrant rainbow patinations. 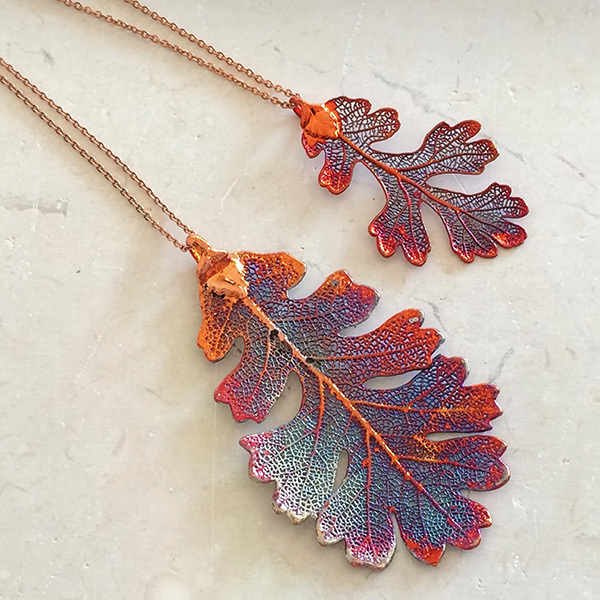 Their size, shape and patination will vary - enhancing their individual nature and creating a unique piece of jewellery. The oak tree grows in most parts of the world and is a symbol of strength and endurance. It has a special place in many world cultures and was a sacred tree for the druids of Britain.